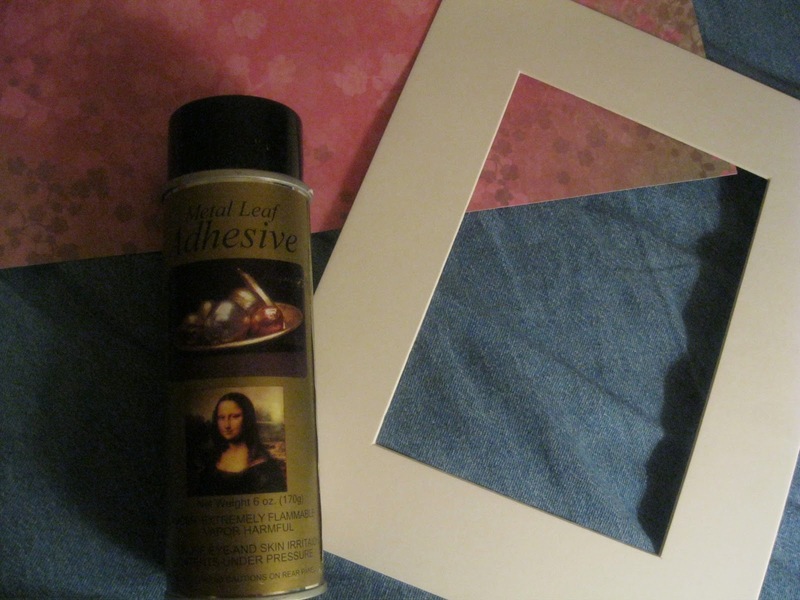 Nearly free home decor project by re-purposing an old picture frame and mat. 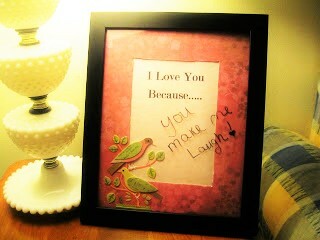 Write each other little love notes on the glass of the frame with dry erase markers! This cute dry erase board is super easy to make and nearly no cost. I actually didn't spend any money at all, as I had an old picture frame with a mat and left over scrap booking supplies. I started this project late one night after dear hubby had gone to bed. I realized I needed my straight edge blade and my repositionable glue stick that were both in my bedroom. Not wanting to wake him up, I used sharp scissors and a can of spray adhesive. The spray adhesive was very fast , but down side is you can't reposition your paper once it's down.Because I didn't wait to use the sharper straight edge razor blade, the inside edge of the mat has a few tiny rough edges where the scissor blade gashed it a bit. Oh well, that's what impatience will get you. 8 x 10 picture frame. 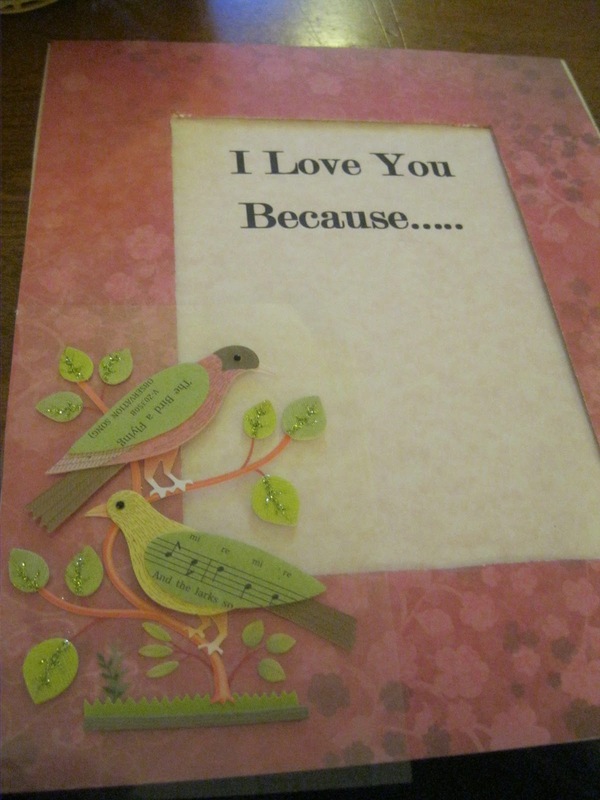 Paper print out with the words: I Love You Because... I printed mine on pink parchment card stock, but you can hand write it out as well on any paper. Apply glue to the Mat. 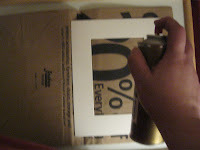 If using spray glue cover your work surface with newspaper. Place 12 x 12 scrapbooking paper face down, so the back side is facing up. Pick up your mat and turn it so the glued side is face down and carefully place onto desired location on your scrapbooking paper. I had a certain print I wanted to make sure was on the matting, so had to place mine in the far corner to get it on there. Using scissors trim the outside edges of the mat away from the scrapbooking paper. Then placing the mat on a protected work surface (Don't slice your table or furniture!) use your straight edge blade to trim along the inside edges of the matting. 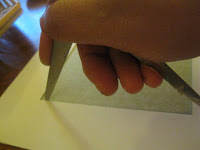 Carefully and gently remove the excess paper from the inside of the matting. 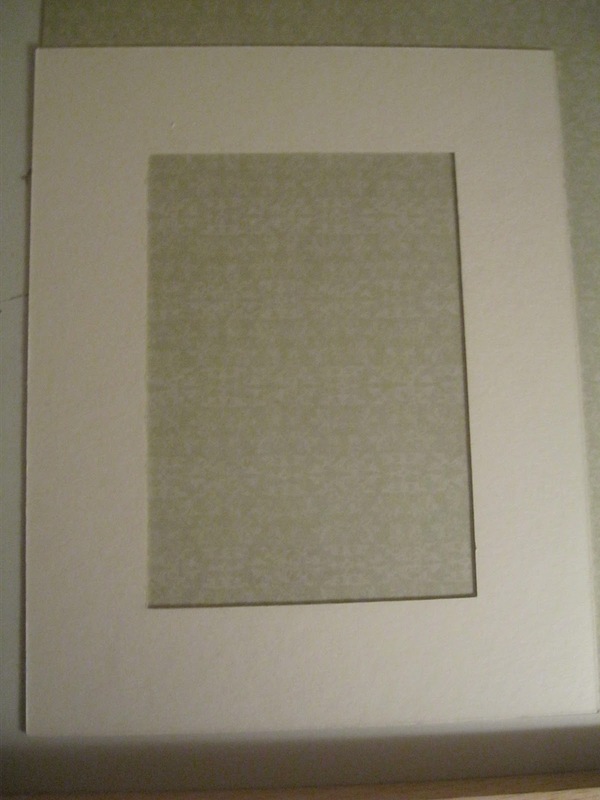 Trim your paper print out that says I LOVE YOU BECAUSE... to fit the inside of the matting. Here's where you can play around a bit. I had a super cute sticker with birds and a tree that I wanted to use, but it was bigger than the mat so to use it i knew it would have to spill out onto the center portion. You could embellish one corner of your matting with some fun heart stickers or anything you like. I put my I LOVE YOU BECAUSE.... paper face up on my work surface. 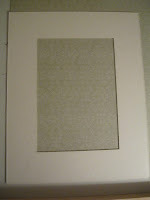 Next I lined up and centered my matting over the paper, just as I want it in my frame. Then I applied my sticker to desired location and gently pressed it so it was adhered to both the matting and the center paper. Gently pick up the entire picture so it stays together and place it in the frame. Place the back of the frame on to cover and secure. I had wanted to screw two eye hooks into the top corners of the frame and tie a cute ribbon for hanging the frame, but the ribbon I had on hand was the wrong shade of pink. I bet it would have been super cute though! 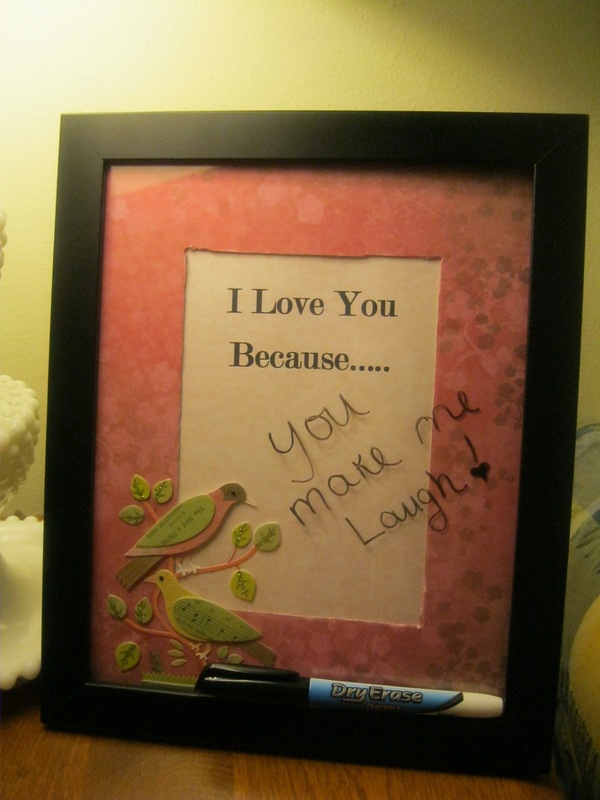 Finish it off by placing a dry erase marker close by so you and your loved ones can write each other a message. You can use a sticky backed Velcro dot to secure the pen to the board. Then write your message directly on the glass!